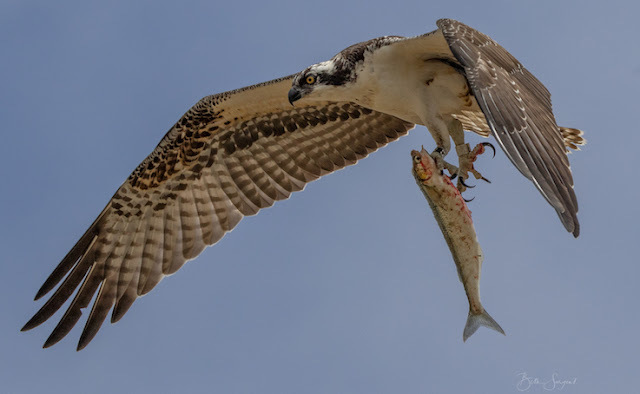 The information below is a follow-up to a previous post (August 3, 2018) titled Reporting Banded Birds, and in which Osprey #62 and #63 were featured. As that post stated: “…Patuxent or the actual bander will eventually get back to you with information about "your" banded bird.” In this case, Petra Clayton also received a Certificate of Appreciation for reporting this bird. April 23, 2018 – Osprey #63 was banded in Orange County, near Newport Beach. 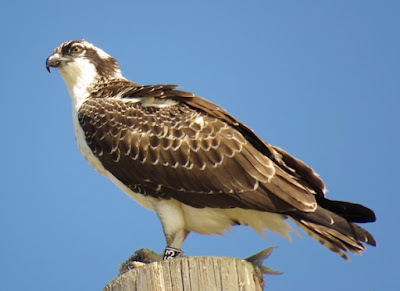 July 9, 2018 – Osprey #63 was first reported in SLO County (Oso Flaco). September 28, 2018 – Osprey #63 was last reported in SLO County (Oso Flaco). 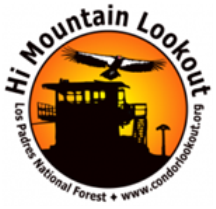 October 4, 2018 – Osprey #63 was recently reported and photographed in Orange County (Crystal Cove State Park). 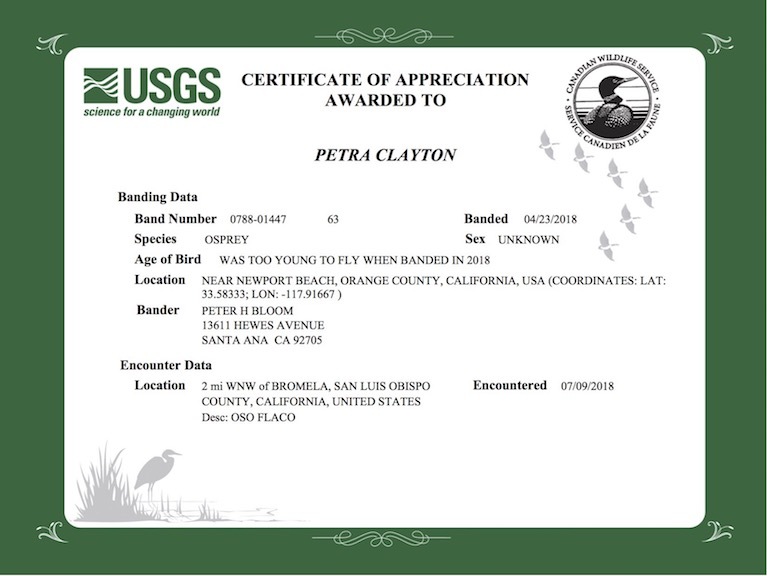 It is possible that this bird will return to San Luis Obispo County next year, so keep your binoculars and cameras ready—and report it to USGS!